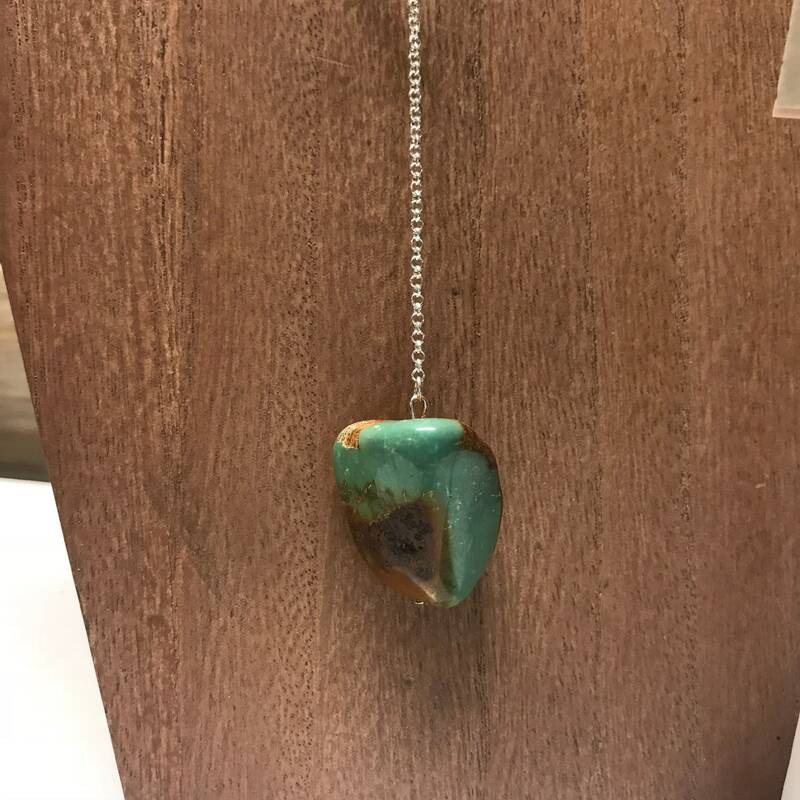 Let this beautiful Turquoise stone dangle around your neck. 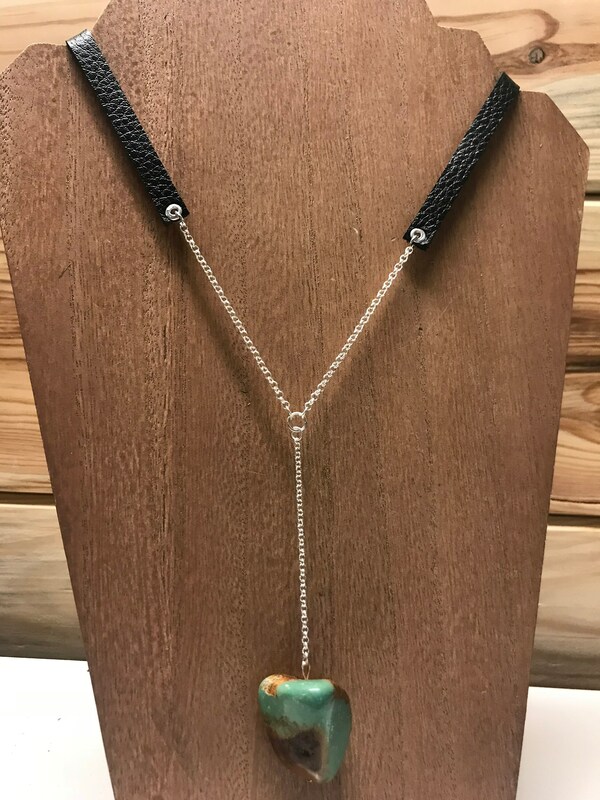 This necklace is fun, flirty, and gorgeous! 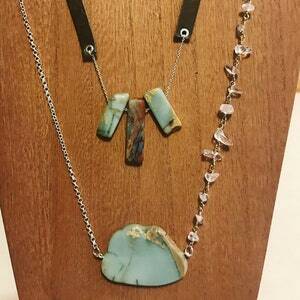 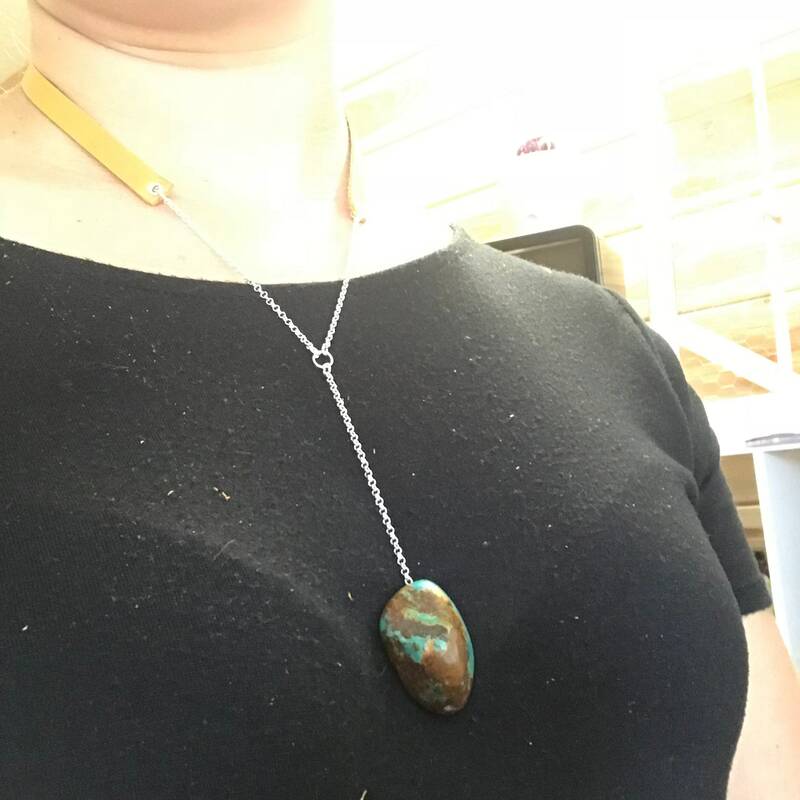 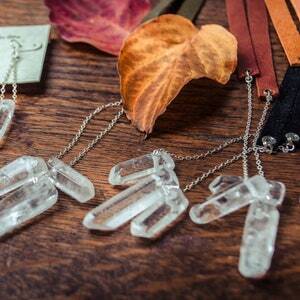 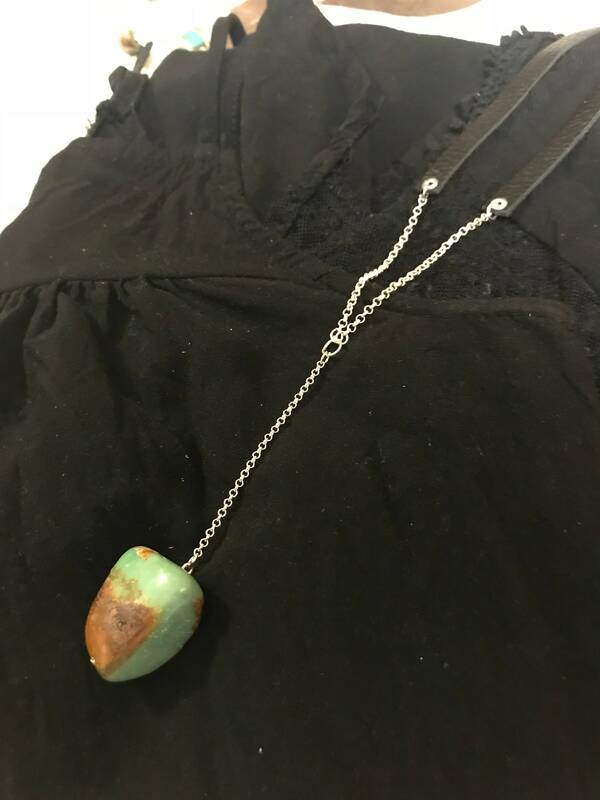 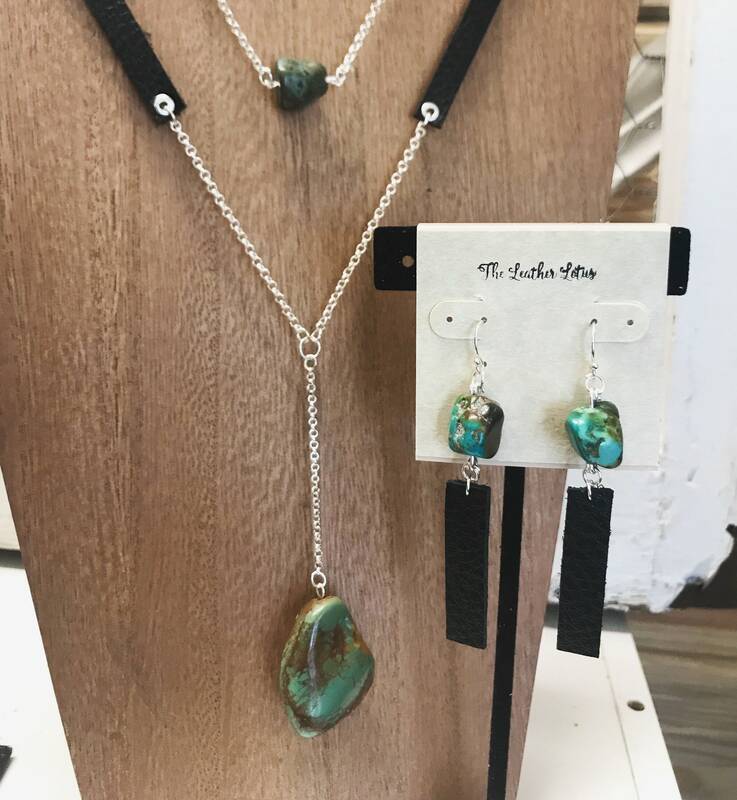 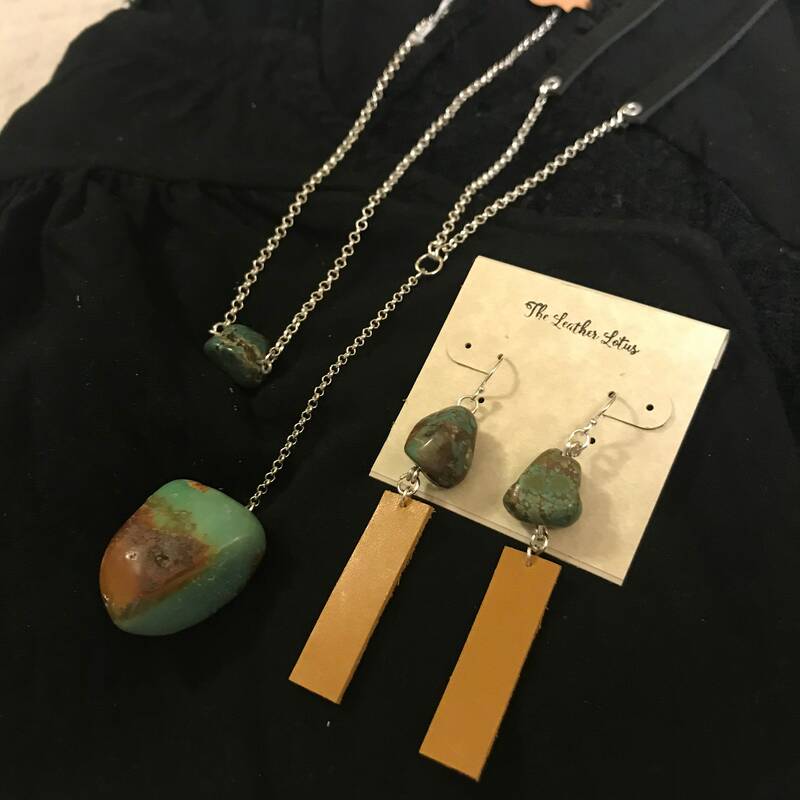 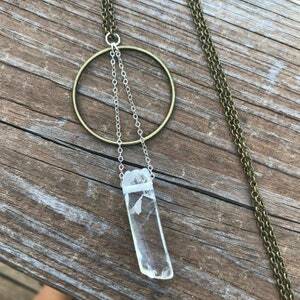 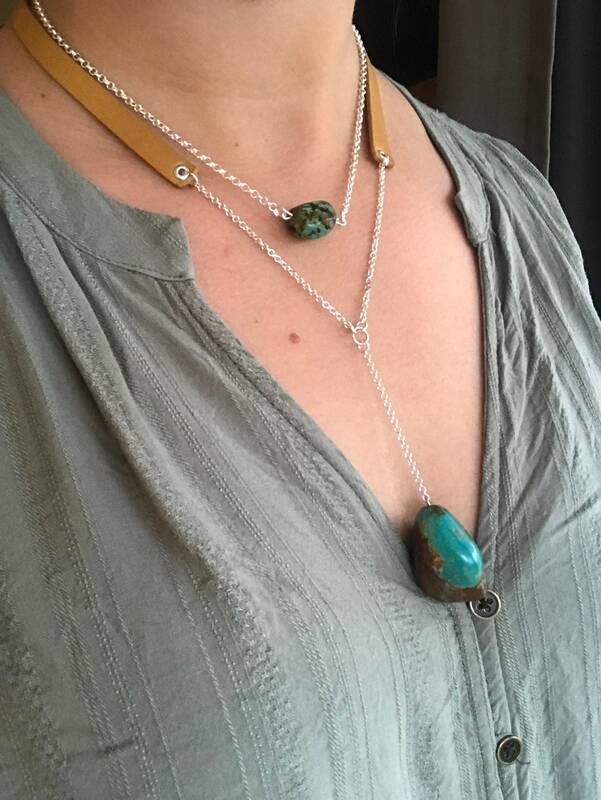 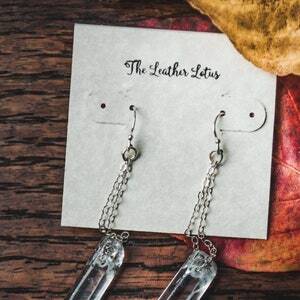 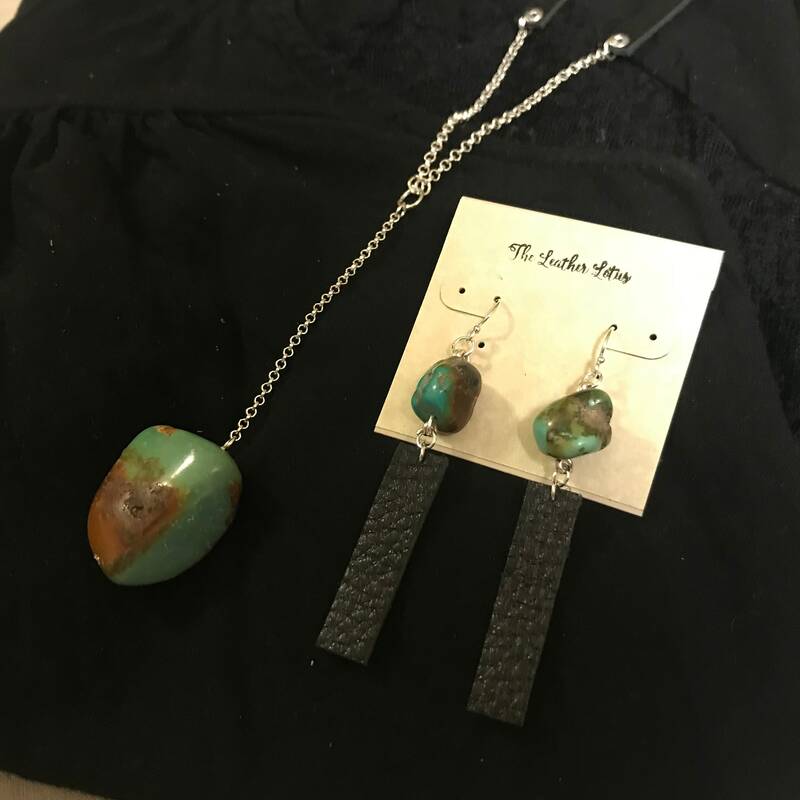 A large raw, natural Turquoise stone hangs from silver plated chain, that meets leather for a beautiful combination.